I hope you're itching to work on your triangle skills this month! Who isn't, after looking at all the beautiful 60 degree triangle quilts we've been seeing lately, both in the guild and online. The grand prize for most donated blocks is a full size set of Aurifil thread by V & Co! This month's block was chosen by Christi, a very active member of the Charity Committee! Please use any combination of (solid or print) green, orange, and yellow with a neutral solid or print background. Trust me, the block looks trickier than it really is! Don't forget - the March meeting day and location has moved to Sew Much More on Wednesday, March 26. Hope to see you there! Also, the next Sew In Day is Sunday, March 9 at Stitch Lab. Don't forget to sign up to reserve your spot! This week I have a special treat for you! Our member, Raquel, is going to tell us more about herself and show us what she's been working on. my name is raquel garza, and i pieced my first quilt when i was in college. (my very talented aunt lucia first taught me how, and has given me some excellent advice since. she hand quilts, which amazes me.) it's an orange and white (and yellow) nine patch (Hook 'Em!) 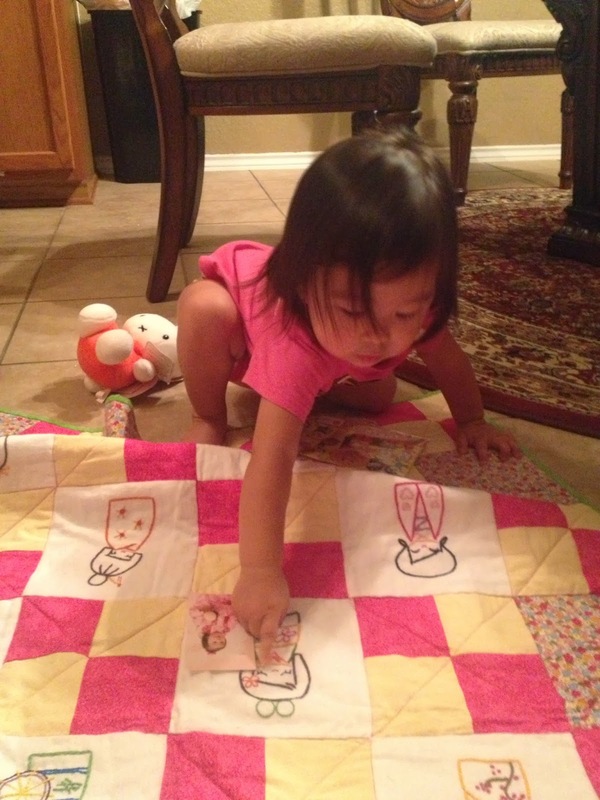 baby-sized quilt that hangs out on my couch to this day. i didn't piece my next quilt until 2013--10+years after my first quilt. 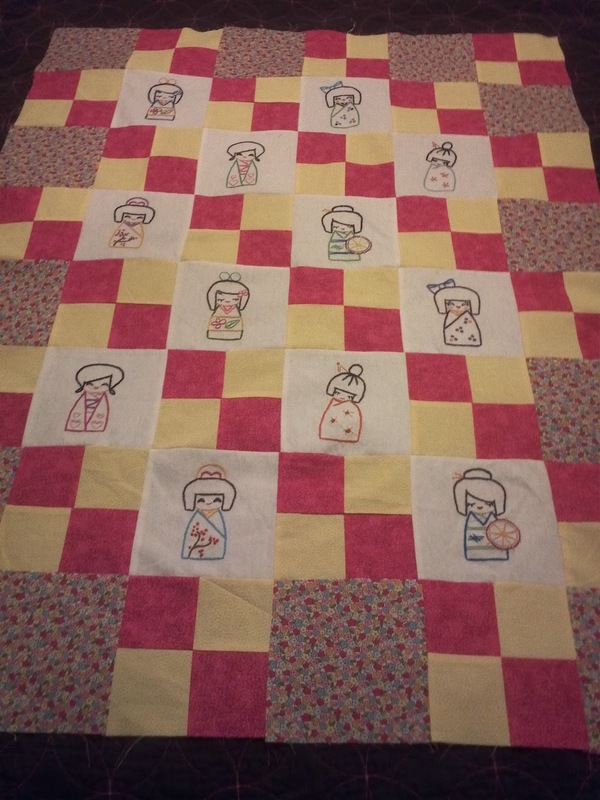 it was a baby quilt that i pieced and quilted myself. a very basic quilt, with some embroidery. it's not a perfect quilt; alearning experience for sure. i recently finished piecing my third quilt, and took it to danielle wilkes to be quilted. she did an amazing job! so finally: my WIP. 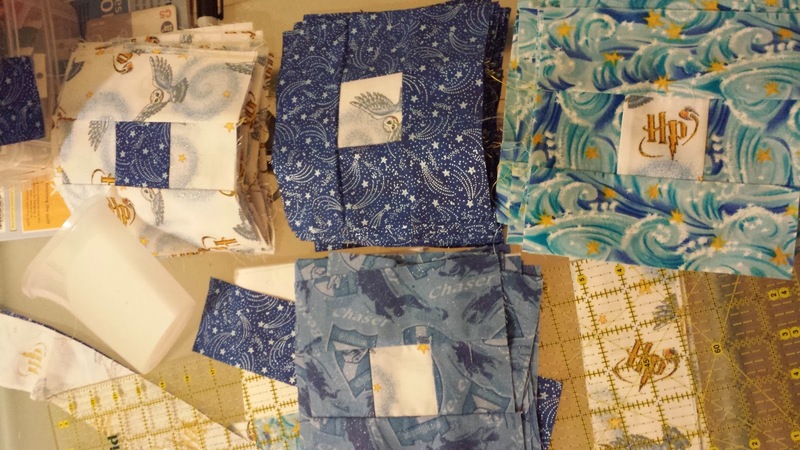 after my first quilt, i bought some harry potterfabric at hancock fabrics, intending to make another quilt for myself.but i promptly forgot about it instead. i recently found the fabric atmy mother's house, and decided to get at it again. i still love harry potter as much as ever. 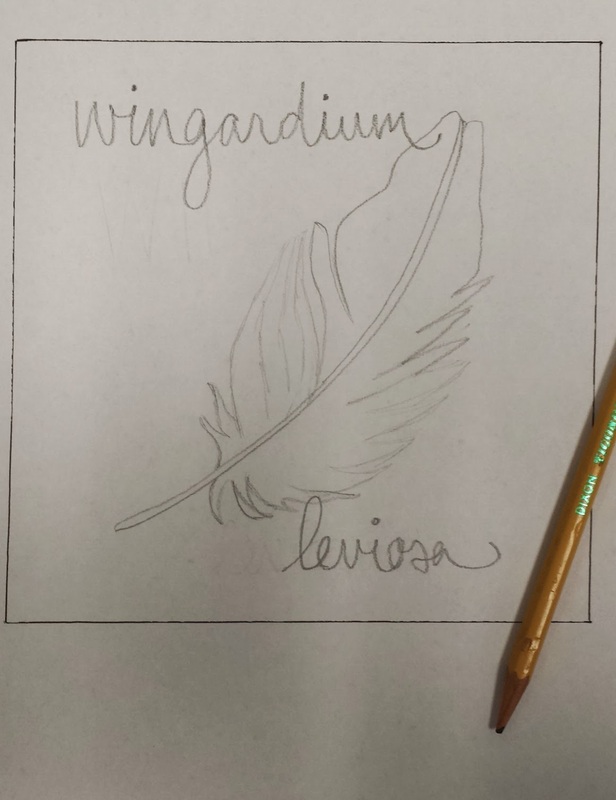 i plan on doing some embroidery again with this quilt-- spells and representative symbols ("accio" with a broom,for example) and passages from the books (did i mention i love harrypotter?). i tend to piece and embroider very slowly. mostly when the mood strikes. but hopefully, being a part of this group will give me the motivation to finish it up, and move onto the next quilt. i look forward to learning more about quilting. Now that we've seen what Raquel has been doing, show us what you're doing. If you've finished your Riley Blake Challenge, please post a photo below so we can admire them too!